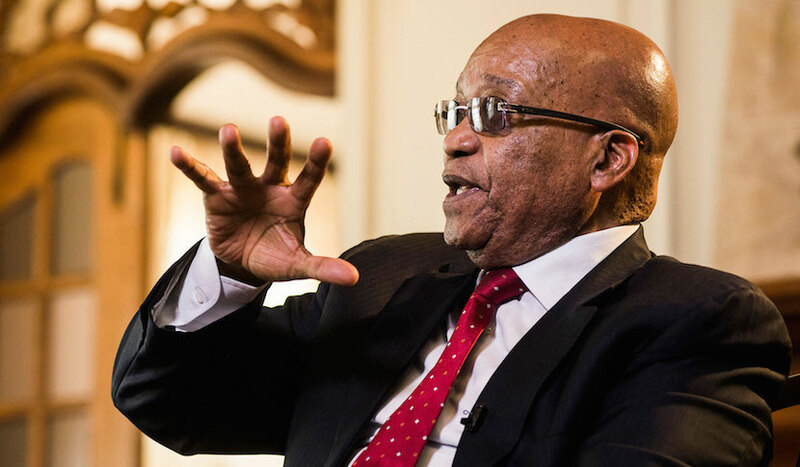 Johannesburg – Cosatu has barred President Jacob Zuma from speaking at its events, the union federation said on Tuesday. This was the first time in the country’s democratic history that an ANC president had faced such a ban from an alliance partner. The trade union federation held a special central executive committee meeting on Monday, after Zuma was booed and prevented from speaking during its May Day celebration in Bloemfontein. “The special CEC meeting ultimately resolved that, in respect of the mandate from the workers and in line with the CEC resolution for him to step down, Zuma will no longer be welcome to address Cosatu,” its general secretary Bheki Ntshalintshali said. Cosatu’s largest affiliate Nehawu decided two days before Worker’s Day that Zuma should not be allowed to attend the Workers’ Day celebration. However, Zuma arrived and got a hostile reception. The ANC sent Zuma to the celebrations as Cosatu did not dictate to the party who it should send to its events. Ntshalintshali said Cosatu no longer trusted and supported Zuma and wanted him to step down. The federation said it would communicate its decision to the ANC. Cosatu bans Zuma from attending their events. ANC MPs nail Eskom in Parliament. ANC accusing Brown of perjury. Can #Zuma survive this week? Cosatu was pivotal in Zuma’s election as ANC leader at the party’s elective conference in Polokwane in 2007. The booing of ANC leaders, including ANC deputy secretary general Jessie Duarte and chairperson Baleka Mbete, at Workers’ Day events was an indication of Cosatu’s frustration with a lack of leadership in the country and a deteriorating political situation. However the federation said its president Sdumo Dlamini was not asked to apologise for attending Zuma’s birthday bash in Soweto on April 21. Dlamini told the crowds in Kliptown that the “workers were behind Zuma”. Dlamini avoided questions about his attendance and was criticised for his utterances.